The December Gold Cup at Cheltenham is the obvious target for horses that ran in the Paddy Power Gold Cup at the previous meeting. This year’s renewal features three of the first four home in that race plus an unlucky faller. Johns Spirit is certain to be popular after his win in the Paddy Power, holding off the late run of Colour Squadron to win by three-quarters of a length. Trainer Jonjo O’Neill believes that the gelding could be up to defying a 9lbs rise in the weights as he goes for a third successive Cheltenham victory. He can be backed at 5-1 with Bet365. Most observers felt that Colour Squadron was unlucky after he made up the best part of six lengths from the last fence. He was hampered when Easter Meteor fell at the second last and champion jockey Tony McCoy has chosen to ride him ahead of Cantlow and Tap Night. 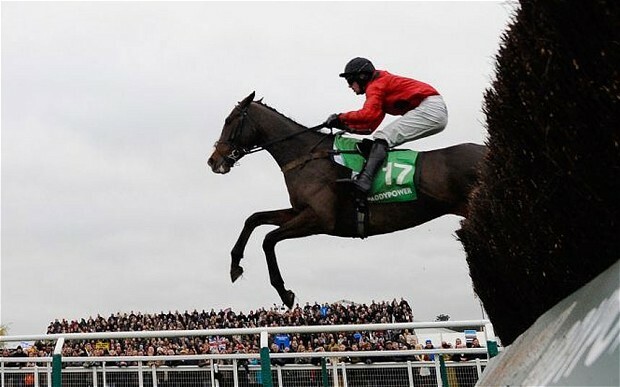 The best supported horse in the ante-post market has been Grandioso, trained by the in-form Paul Nicholls. The Ditcheat trainer saddled five winners across two meetings last Saturday and is optimistic that Grandioso will improve on his Newbury third. His conqueror that day was Cantlow who has always threatened to win a big race over fences. He was given a patient ride by McCoy and the jockey admits it was a tough choice between him and Colour Squadron. Emma Lavelle’s Easter Meteor has to be respected after his unlucky fall in the Paddy Power. He appeared to be travelling strongly when falling two from home and has since run another good race behind Cantlow. Attaglance finished fourth in the Paddy Power without ever really threatening to land a blow. Connections are confident of a good run with the track and going in his favour and he must have place claims. David Pipe’s Salut Flo has not been seen on the track since winning at the Cheltenham festival in March 2012. It would be a phenomenal piece of training to get him fit enough to win this first time out but he has also been the subject of support in the betting. Nicky Henderson produced a 20-1 shock when Triolo D’Alene won the Hennessy Gold Cup at Newbury last month and he saddles another useful French import in Ma Filleule. The grey mare has little worthwhile form over fences but they start chasing from a very young age in France and she could run better than her price suggests. Fergal O’Brien’s Silver Roque takes a big step up in class after running away with a race at Sedgefield. The handicapper has put him up 11lbs for that success and that may prove to be his downfall. Double Ross and Sew On Target have been consistent and could sneak into the frame at a big price.